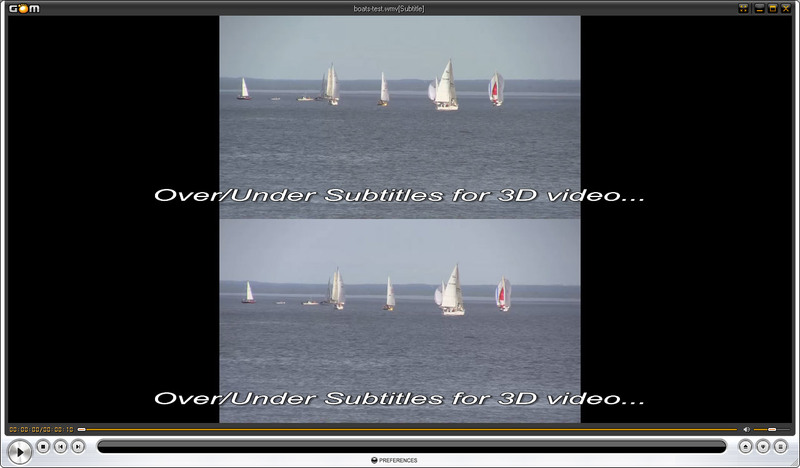 Adding proper subtitles to 3D videos can sometimes be a real pain, even if you already have the subtitles in a text format such as SRT, something that is quite common for 2D videos, but still not as useful for stereo 3D ones. There is the ffdshow subtitles filter that you can use for displaying 2D subtitles properly over a 3D video file, but that method is a bit more limited and can cause some problems setting up and using. An alternative method is to convert the SRT subtitles and integrate them into the video, but I’m not talking about recompressing the whole video and hardcoding them inside the video frame, there is no need to do that. With the help of the free 3D Subtitler software you can convert the 2D SRT text file into the proper format for using with Side by Side videos or Over/Under formatted ones, adjust their position, font size and style and border. Then have the newly prepared subtitles integrated into an MKV video file using MKVmerge (MKVtoolnix) or into a Blu-ray video image with the help of TsMuxeR. As I’ve said this is done without hardcoding the text into the video, so you are able to enable/disable the subtitles at will. Of course using 3D Subtitler requires a bit of time to process the video with the properly prepared subtitles, it is not as easy as to just open the 3D video file with a player using the ffdshow subtitles filter and having the SRT subtitles in the same folder. 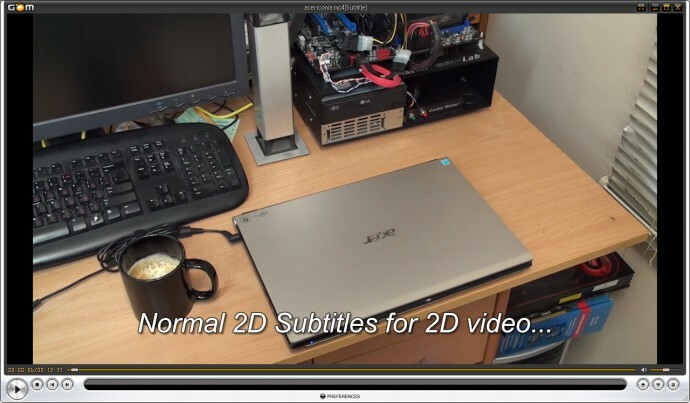 But still the 3D Subtitler tool can be a useful alternative if you are having problems with making the ffdshow subtitles functionality to work properly for you. Both of these solutions however will output by default the 2D text subtitles as 2D subtitles appearing at screen depth level, they will not make them into 3D ones that will have varying depth based on the depth information from the current scene of the movie. 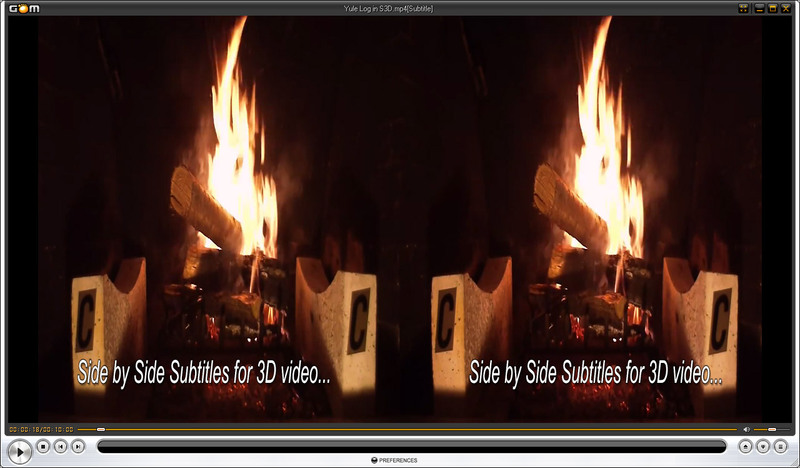 So if you have the subtitles displayed at screen depth level, but the current scene has some pop-out effects below the position of the subtitles you will be experiencing trouble getting the correct volume information. The same applies if the scene at the position of the subtitles uses a lot of depth, again making it hard to properly focus on the text and the image from the movie properly, making it uncomfortable for the viewer. That however should not be a very common problem and getting rid of it would require a more robust software for preparing 3D subtitles, not to mention that it will also require more knowledge and skill to be properly done, so it is not something that normal users would usually do. The results provided by the ffdshow subtitles filter (it also has parallax adjustment option for the 3D subtitles, but you can set it only once for the whole video and not vary it through the subtitles) or the use of the 3D Subtitler software should be quite good most of the time and easy to use by most people.